I have been told that there is no such thing as a Manic Pixie Dream Girl, that it is a shallow construct of the entertainment industry created by a machine unable to create real character depth in less than three hours. But the same world that tells me that the MPDG does not exist also tells me that the end of the world is coming in 2012. How do I believe one and not the other? So whether the world ends in 2012, or in 9912, it would be nice to have someone by my side to watch the comet hit. If you are a dream girl, you probably want to know something about me, and since I am a casual-not-prolific blogger, you won’t be able to glean too much about me from my blog. I have been told I am too nice on several occasions, with different meanings embedded behind the words. I have been called nerd and geek much more frequently, sometimes as an insult, sometimes not. I hold to the words of Kierkegaard, though: “Once you label me, you negate me.” I hope you don’t feel dream girl is a label. I don’t want to negate you, either. Some dream girls for benchmarking purposes: Rachel McAdams, Mandy Moore, Victoria from the Buttercup Bakery. I am divorced and have an almost 10 year old son who is wonderful. You would probably fall in love with him before you fall in love with me. I am a media junkie. In college, I was one class away from minoring in Pop Culture, but it required an additional semester, so I chose to graduate as an Advertising major/English writing minor, but I have maintained my amateur status in both. I often quote movies, songs, and television shows in addition to fathers of existentialism. I am a man who, like Ted Mosby, gravitates to the grand gestures of blue french horns. I am the type of man who would say he would write you a poem every day. It would start on the first day with a well written sonnet in iambic pentameter. The second day would bring a fair attempt at a sestina. And then I would lose it and start writing bad haiku. The haiku would probably be about zombies. I have a good job, and I own my own house. The house is mostly a blank canvas – most of my effort has been trying to get the outside pretty (i.e. make the grass grow). If you have any DIY skills, it’s a bonus. Crafty girls (in the sense of Etsy, not the Beastie Boys) get bonus points, too. If you need letters of reference from friends and ex-girlfriends, I can provide them on request. I just came out of a long-term long-distance relationship that ended fairly amicably. She is reading this blog right now, and think she would be happy to tell you about all the good things and the bad things about me. If you’re intrigued by this blog, it’s probably best to not reply here. I can be shy and after I publish this, I’ll probably be embarrassed. You may want to just stalk me on Twitter or Facebook and flirt with me and pretend you never read it. At a basic level, I’m not a fan of movie remakes. It is quite rare that the remake is better than the original. However, sometimes a movie exists beyond the film itself as an Idea, in the Platonic allegory of the cave sense. In that way, even the original movie is but a shadow of the ideal. And in those cases, I believe remakes could be justified, because they give us a glimpse of what could lie beyond the mouth of the cave. Did I lose you? Sorry. On with the movie remakes! Ok, maybe this wouldn’t be a remake. You could call it a sequel or a reboot of the franchise. 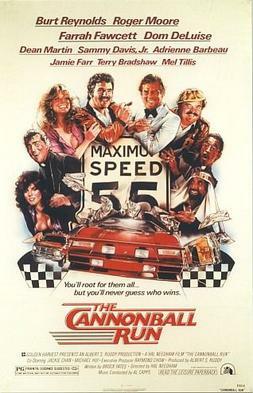 The original Cannonball Run came out in 1981 and had a sequel in 1984. It featured Burt Reynolds, Dom DeLuise, Farrah Fawcett, Dean Martin, Sammy Davis, Jr., and many many more celebrities. A young Jackie Chan was even in it in a small role. This type of comedic action movie would do really well in the theaters. Think Fast and the Furious, but with comedy replacing all the bad acting and melodrama. Who wouldn’t love a cross country race full of famous faces, as stars or cameos? I would bring Burt Reynolds back for the remake, maybe as the race organizer. With him, I’d bring in Dom DeLuise’s three kids. David DeLuise is pretty well known amongst the teens and tweens from his role as the dad on Disney Channel’s Wizards of Waverly Place. He could even take up the mantle of Captain Chaos. Michael and Peter have also been pretty active acting and directing. Bring in some NASCAR drivers, and a bunch of current celebs, and it should be an instant hit. I’m sure a remake of this would be controversial. The original holds it own. So maybe this should also be a sequel. I’ve heard it suggested that this could be the adventures of the kids of the original characters. I think that would be great. Would One Eyed Willie only have had one place to hide his treasure? Where did the Inferno end up after it sailed out of the cave? Or maybe this is could be a prequel – how did the map come to be in the attic? 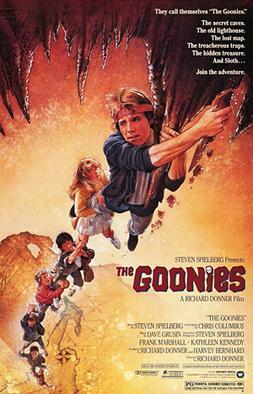 It could even be a period pirate film – Mikey calls him “the first Goonie.” There’s your title right there. The film would need to stand on its own for the current generation, but still have nostalgic touches for the parents (like me) of the current generation. There was a rumor that Disney was remaking this, but I haven’t heard anything recently. 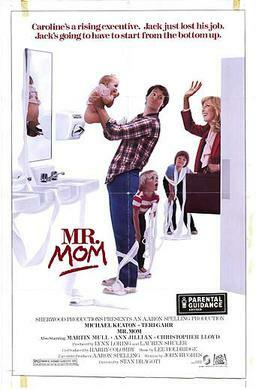 I remember this movie fondly from my childhood, but tried to watch it with my son and we couldn’t get through it. I think this film really ends where it should have begun… entering a black hole and encountering… well, let’s just say weird stuff. But the mix of cute robots, even robots, a girl with ESP, and space can be the setup for a much better film. Let’s have them deal with the Cygnus villains in the first act of the movie, entering the black hole in the second act, and leave the third act for exploring the other side. There’s franchise potential there for sequels if it does well. So, readers, what do you think? Hate these ideas? Ready to get them made? Or do you have your own movies you’d like to see remade?